Gunung Palung National Park, located in western Borneo, Indonesia, represents one of the most important blocks of orangutan habitat. The Park and the surrounding areas harbor one of the most viable remaining populations of orangutans in Borneo, and the world. A census conducted in 2001, funded in part by the Orangutan Conservancy (OC), estimated there to be 2,500 individual orangutans living inside the park, with an almost equal sized population living in the unprotected areas outside the park. 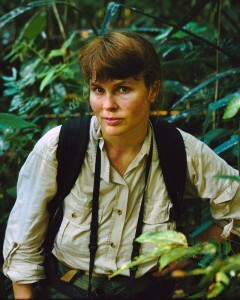 In 1999, in response to the growing threat that human activities posed to orangutans and other endangered wildlife living in and around Gunung Palung National Park, Dr. Knott and colleagues started the Gunung Palung Orangutan Conservation Program (GPOCP) . GPOCP began with a series of environmental education programs for school children and quickly developed into a multi-faceted program combating orangutan conservation threats through a number of strategic initiatives. Since 2002, they have made huge strides in helping to stop large-scale illegal logging within the park’s boundaries, and have evolved into a landscape level conservation organization, working towards the protection of Gunung Palung National Park and surrounding ecological areas as whole, using the orangutan as a flagship species for conservation. The Orangutan Conservancy was one of the first supporters of GPOCP and has made a significant contribution to their many successes. In 2007-2008 we assisted in the rebuilding of the Cabang Panti Research Station, supporting the work of Dr. Andrew Marshall as well as that of Dr. Knott. The Orangutan Conservancy also played a crucial role in building GPOCP’s new Environmental Education Center, bordering the national park. The center serves as the focal point for GPOCP’s efforts to help communities develop sustainable, alternative sources of income and fuel that do not lead to rain forest destruction. 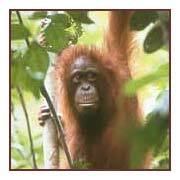 GPOCP’s mission is to conserve orangutan populations and forest habitat in and around Gunung Palung National Park. The orangutan is considered the umbrella species for conservation in the area, and is also an important ecological agent for seed dispersal and seed predation. 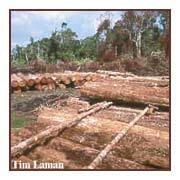 Currently, however, their rainforest home is severely threatened, as illegal logging continues at an alarming speed. 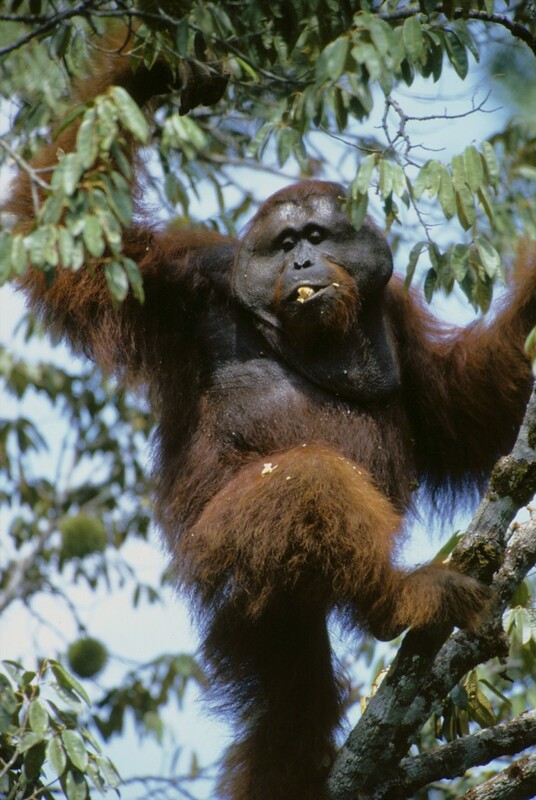 The orangutan is considered the umbrella species for conservation in the area, and is also an important ecological agent for seed dispersal and seed predation. 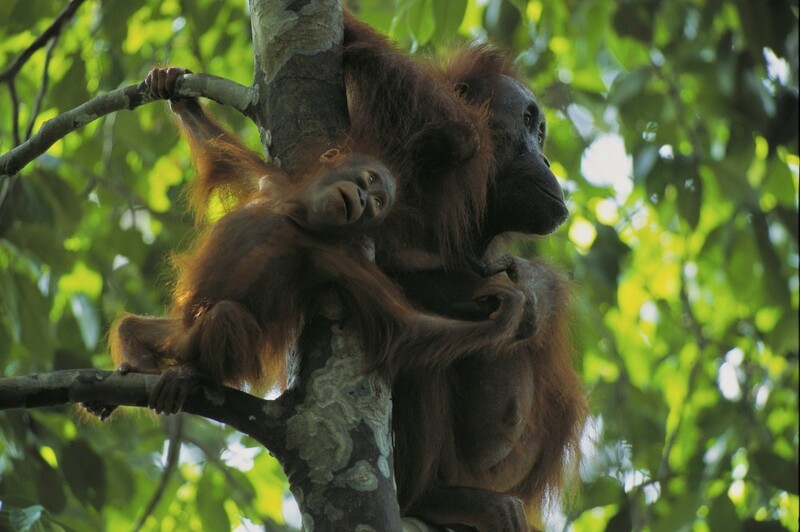 It is believed that orangutans at Gunung Palung constitute one of the most dense and largest populations on Borneo. 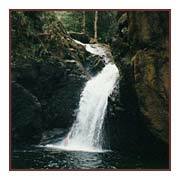 Currently, however, their rainforest home is severely threatened, as illegal logging continues at at an alarming speed. Read more in our Links section about what is being done to help. Help the Orangutan Conservancy support important projects like GPOCP by making a donation today!